Q. We are looking for a product that will allow us to clean mold release agent from the surface of molded HDPE parts. A. 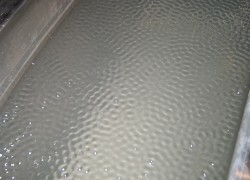 The best way to reliably remove silicone based mold release agents is to immerse the High Density Polyethylene parts in very hot (170ºF / 80ºC) 2-3% Alconox® Powdered Precision Cleaner or Detonox® Ultimate Precision Cleaner followed by a very hot (170F/80C) rinse, ideally both in ultrasonic tanks. 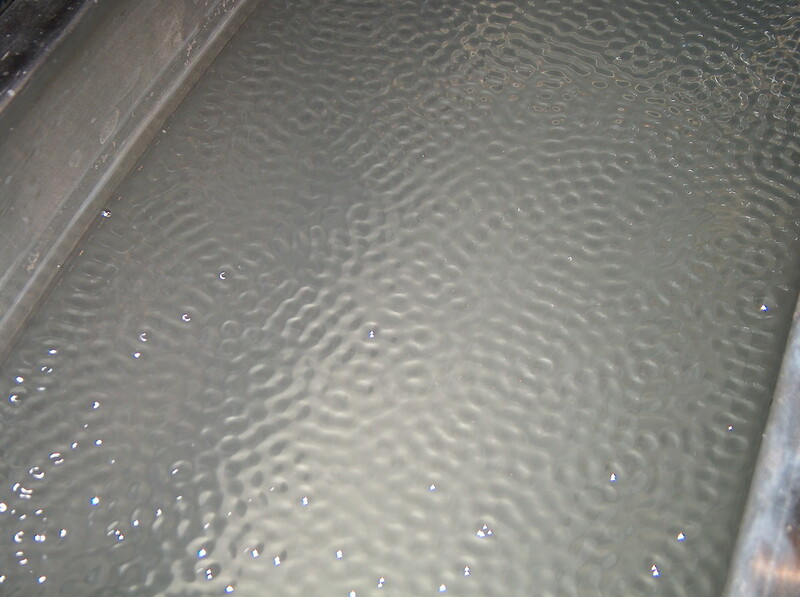 After the first very hot rinse, normal ambient temperature rinsing can be done. The cleaning can also be done with stiff brushes, but of course protective equipment (PPE) must be worn. The theory behind the high temperature is that many silicon oils (siloxanes) and polysilanes have a softening point between 160-170ºF / ~80C), and above that softening point, they are much easier to emulsify. Both Detonox and Alconox detergents are excellent, potent emulsifiers and the higher concentration ensures the capacity is adequate. The first rinse must also be very hot because if you use a lower temperature rinse, you can break the emulsion from thermal shock and redeposit the silicone. You should double check the thermal stability of your HDPE. In general HDPE is stable to 170F/80C temperatures. To clean HDPE parts in ultrasonics, it is best to have some kind of basket or rack that will hold the parts immersed and not allow excess touching between the parts if possible. If the parts are small and will touch each other, then some mechanical agitation during cleaning is desirable to move the points of contact around. When the basket is pulled out of the cleaning and rinsing solution, shake the basket to facilitate removal of any water or solution trapped between the parts.